Classes must be booked 24 hours in advance. Parking is free. If the front lot is full, you may park in front of Fabio salon after 5pm. 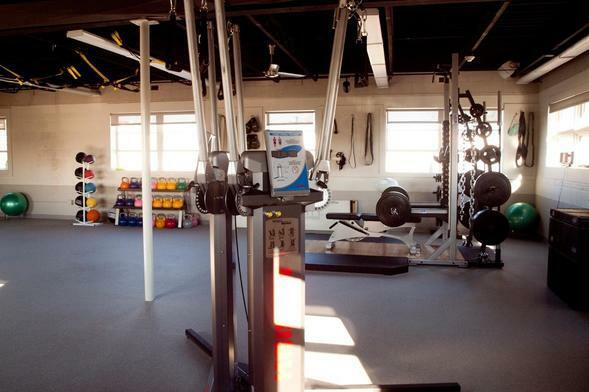 Vitality Personal Fitness was founded by Shayleen Pastick, a licensed physical therapist that has been training people in the Chestnut Hill and Newton areas for over 15 years. Vitality trainers are masters of functional training and the studio's state-of-the-art equipment includes TRX Suspension Trainers®, TRX RIP Trainers®, kettlebells, UCS Olympic lifting station, UCS plyometric boxes, BOSU® balls, medicine balls, functional training bands, a Kaiser functional Triple Trainer, WaterRower® Indo-Rows®, and more in a clean, bright and positive environment.